On Saturday, August 8th, a group of about 40 people met in sunny San Francisco for our 3D Scanning meetup. After some drinks we made our way to [Clarion Alley](https://en.wikipedia.org/wiki/Clarion_Alley), a wonderful small street that’s filled with murals and other street art. Once there Armando from [Trnio](http://www.trnio.com/) gave an introduction on how to use their app for quick 3D scanning in the street, and Eriks from [Immersio](http://www.immers.io/) presented his company’s scanning services. After that, we were off! 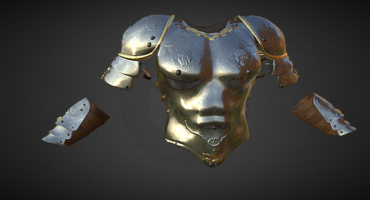 Everyone was asked to upload their scans to Sketchfab – here’s a good example. Check out the full gallery of scans from Clarion Alley here. I want to give a HUGE thank you to Abby Crawford, who put the entire event together! Abby is also the author of ’How to set up a successful photogrammetry project’ – if you’re interested in getting started with 3D scanning using photogrammetry, check it out! Are you interested in hosting a 3D Scanning meetup in your town? Contact me and I’d be happy to support it!